My first introduction to Billy Coffey was his novel, The Devil Walks in Mattingly, published by Thomas Nelson. I saw it sitting there on a shelf in B&N and thought, “Boy, that looks cool.” I noticed that it was Southern Fiction, which normally isn’t my cup-o-sweet-tea. But I quickly realized (within the first three pages) that it was, in fact, very, very cool. And it got cooler as the book went on, until it was nearly unbearably cool. 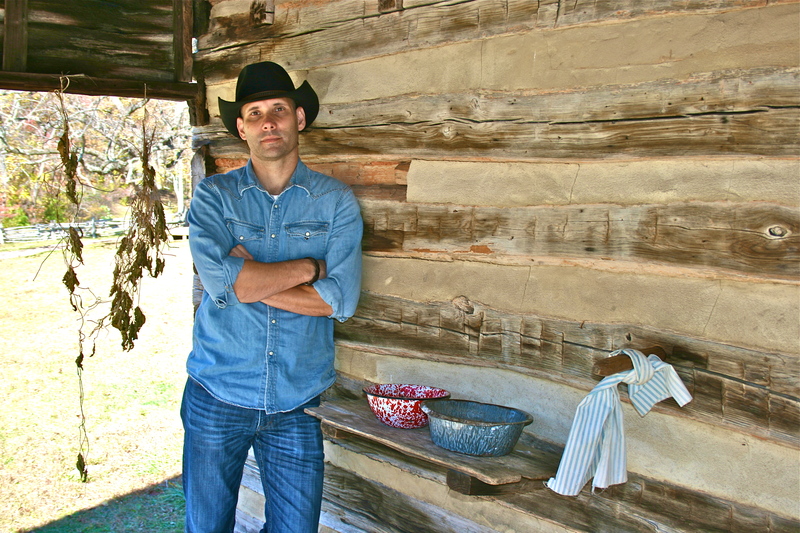 Billy is a lyrical writer whose work demands you devour it, yet whose flavor and depth makes it nearly impossible for you not to slow down and enjoy every savory syllable. All his novels take place in a quaint Virginian town named Mattingly, where ordinary hillbillies and supernatural strangeness intersect in startling and riveting ways. It’s kept me coming back for more after each and every book, and his newest offering, There Will Be Stars, is no exception. I finished it last week and think it’s maybe my favorite of his yet. I will buy and read every book Billy writes, and there’s very few writers I would ever say that about. 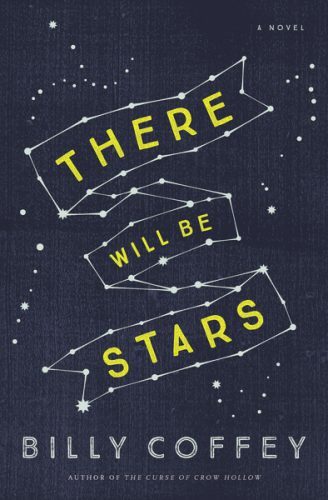 Do yourself a favor and buy There Will Be Stars now. You won’t be disappointed. Q. How would you define good Art? Billy: I’m not sure at what point good art became so entwined with shock value, or with its inability to speak one message clearly. To me, good art inspires. Whether to live a better life or ask better questions or to gain a better understanding of what it means to be human, doesn’t matter. But it has to inspire. Q. Why do you make your Art? Billy: Because I can’t not make it. Simple as that. I’ve tried several times in my life to give up writing, and the results each time were catastrophic personally. I think that’s what separates those called to write or make music or act from those who merely aspire to it–they can’t stop, no matter how difficult things get. Q. Was there a certain point or occurrence in your life that first pushed you to start making your Art? Billy: I was a senior in high school and a lazy jock who was going off to college to play baseball. My English teacher pulled me aside that winter and said she couldn’t in good conscience stand by and watch me waste away an entire year of school. She made me start writing a weekly column for the local newspaper. I tore my shoulder a few months later, ending everything that I had built my life around. That next column was the first one that I wrote with utter honesty. A week later, I received an anonymous letter through the school from someone who said that column had saved them from a suicide attempt. I realized then that maybe I could help more people with pen and paper than I could with a bat and glove. Q. Are there any people whose work you find extremely inspiring? Billy: I’ve always been in love with the work of those old Russian novelists. Tolstoy and Dostoevsky and Gogol. How they could plump the human heart in all its richness and horror. Flannery O’Conner would be their American equivalent, I think. Q. What’s the biggest struggle you’ve had in finding balance between your Art and the rest of your life? Billy: I still struggle with finding that balance. I write more when I’m not writing than when I do, if that makes sense. When I’m working on a novel, it often seems as though I see the entire world through that lens. Q. Can you share one of the biggest lessons God has taught you while you’ve labored to make your Art? Billy: A hard lesson for me so far has been that nothing is according to my timing, only His. But the hardest is the lesson that I am more than the books I write. My success or failure in that part of my life has no bearing on the other, larger parts. Q. How about some of your biggest artistic fears? Billy: I think every writer fears that his or her work will go ignored in some way. You can pour everything into your work only to find that it passes largely unnoticed by many. That can be a tough thing to deal with sometimes. Q. Have you constructed boundaries to keep your Art from ruling your life? Billy: I never write on Sunday. That’s my day to just relax, maybe do a little reading that is for pure enjoyment alone, and spend some extra time with my family. Q. Can you share one of the purest joys you gain from making your Art? Billy: The joy is in making the art itself. Any artist has to be a little selfish in that way–you have to do it for you first, or there won’t be any joy in it. Most of my books grow out of questions I’ve stumbled across that don’t appear to have easy answers. Writing things out helps me find those answers. In that regard, every book an author writes serves as a spiritual journal of sorts, a signpost stuck along the path of our lives. Q. If you could speak to the younger version of yourself, what would you say? Billy: Be patient. With others, with your work, but with yourself most of all. Q. Did you have any big mentors in your life who encouraged you both as a person and an Artist? Billy: That high school English teacher was certainly one. She still gets a free copy of my books when they come out. And I’d have to put my wife and family in there, too. It isn’t always easy being a writer’s spouse or a writer’s child. Q. How has God’s plan for you differed from what you imagined? Billy: This has all taken so much more time than I imagined it would. Q. How about how God’s plan has matched your expectations? Billy: I don’t know that I can answer that question now. I’ve learned that when it comes to things like that, it’s best to carry as few expectations as possible. That tends to limit a lot of turmoil. Q. Can you share an example of how God has been faithful in your journey as an Artist? Billy: He’s always given me exactly what I needed exactly when I needed it, whether it was an agent or a publisher. Q. If you could only share one piece of advice with an Artist just staring out in your Art form, what would it be? Billy: Always try one more time. Q. What other Art forms are you passionate about? Billy: I love music. Can’t play anything but air guitar, but my wife plays the piano and trombone, my son plays sax, piano, and guitar, and my daughter plays the piano and the flute. So yeah, there’s generally a lot of noise in our house. Be sure to give Billy a huge “thank-you” in the comment section below for joining us in this corner of cyberspace and sharing his insight on the intersection of Art and Faith. If you’ve never read one of his books, his newest one is the perfect place to start. There Will Be Stars is the story of Bobby Barnes, Mattingly’s resident drunk mechanic, who goes on a fatal tipsy drive through the mountains only to wake up at the beginning of the day he just lived. As he finds others stuck in the same 24 hour period, cycling on seemingly forever, he discovers that the world he has woken up in (whether it’s Purgatory, Hell, Heaven, or something altogether Other) holds secrets none of them fully understand. There Will Be Stars, in my opinion, is a powerful story of second chances. Just like the characters caught in the crucible, the words on the page will draw you in and not let go until you come out the other side, forever changed. Say thanks to Billy by clicking here to pick up a copy. And be sure to head on over to his website to check out his fantastic blog.